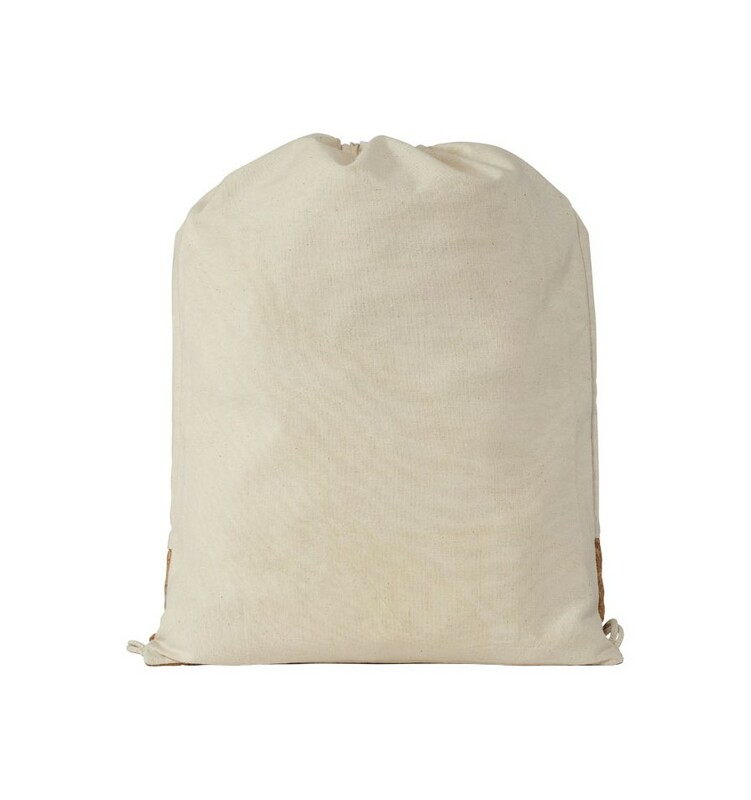 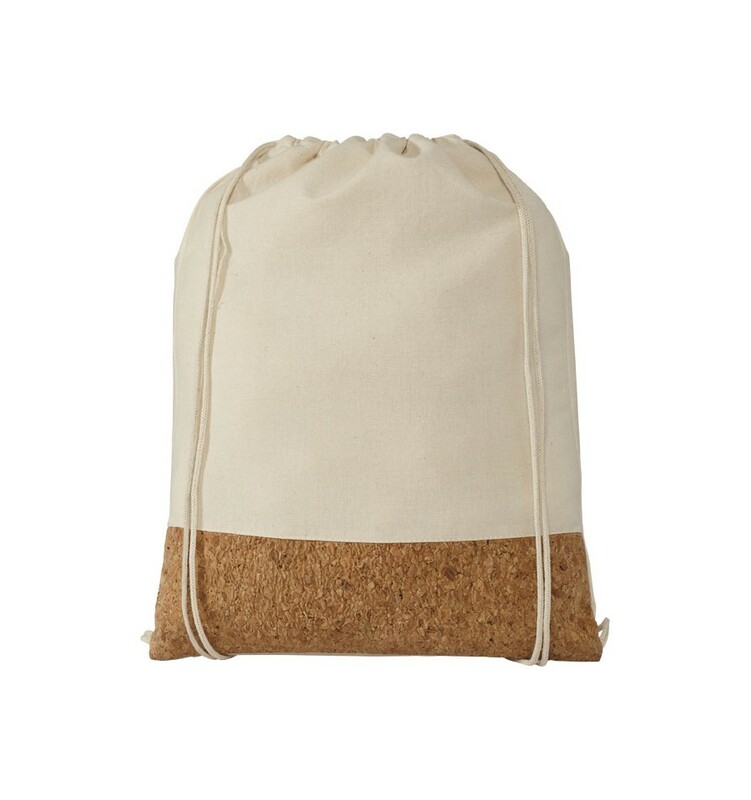 Cotton and Cork Drawstring. 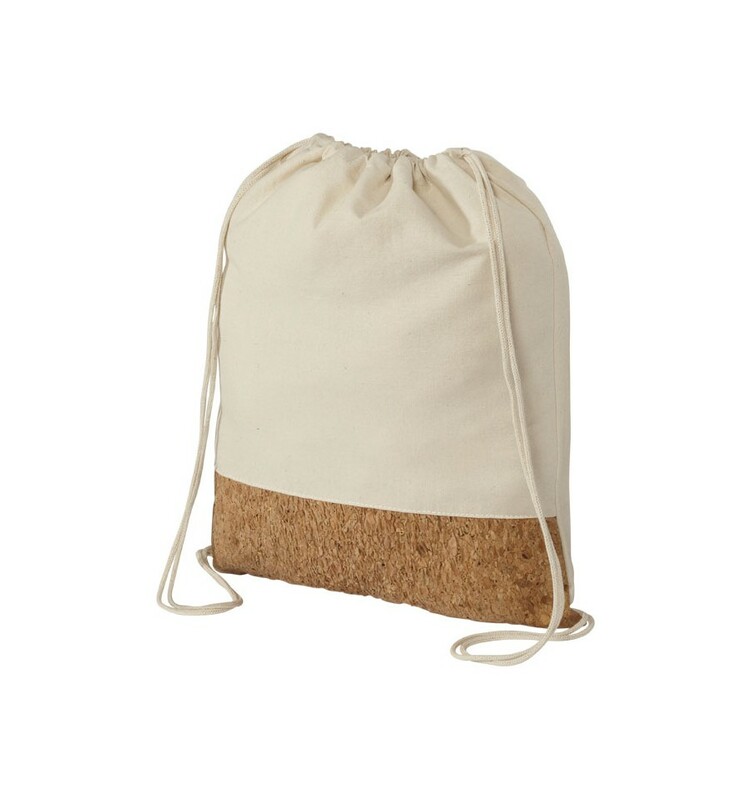 Backpack with open main compartment and cotton drawstring closure. 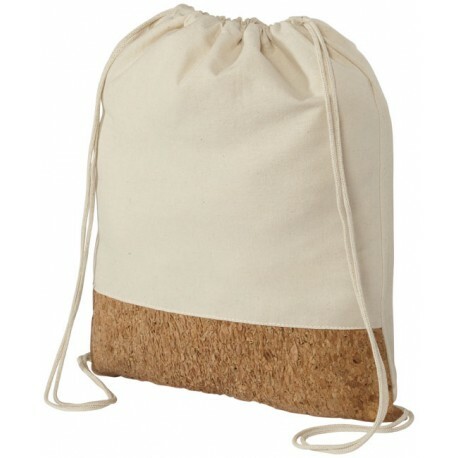 100% cork panel on the front bottom. 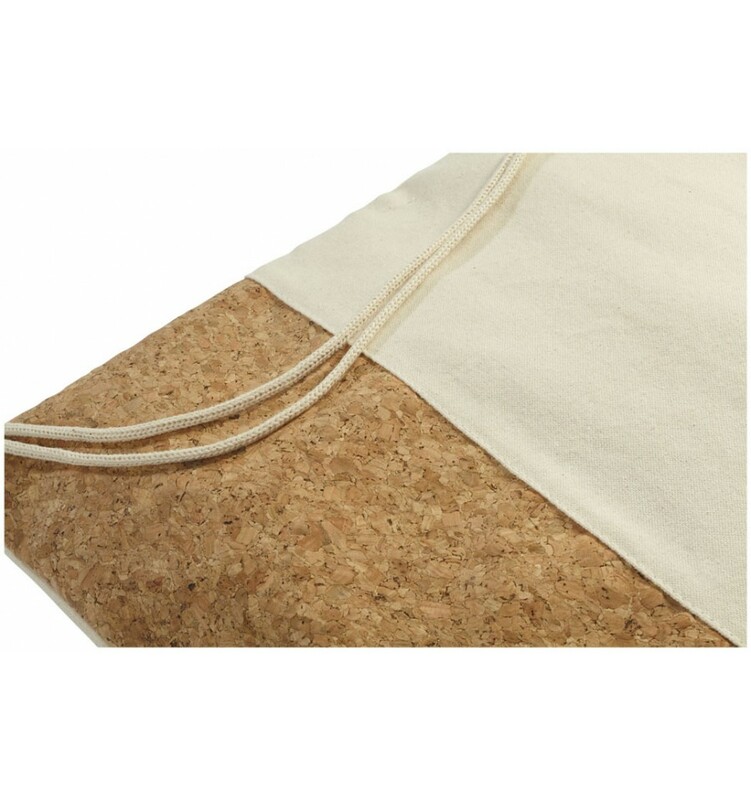 175 grams cotton with cork panel.